During the early stages of modern philosophy (as distinguished from medieval philosophy) – that is, around the seventeenth century in Europe – the question that was troubling philosophers was this: how do we know that we know? The early modern scientists did not, however, reject the knowledge that God gave in the Bible as they rejected previous human authority and opinion. For example. in Novum Organum (1620) Francis Bacon wrote: “To conclude, therefore, let no man out of weak conceit of sobriety, or an ill applied moderation, think or maintain that a man can search too far of be too well studied in the book of God’s word, or in the book of God’s works.”81 “The book of God’s word” is the Bible. “The book of God’s works” is the world which God has made. Modern scientists in general lived, thought, and worked in the framework of rejecting human authority, while respecting what was taught in the Bible in regard to the cosmos – right up to the time of Michael Faraday and James Clerk Maxwell in the second half of the nineteenth century. The philosophers (and later the materialistic scientists) went further. Their error was to confuse the escape from past human authority (which was indeed confining) with putting man at the center and rejecting God’s authority as well. They wanted to reject all outside authority. They wanted to establish everything only on human observation. That was how the question of epistemology (how we know we know) became so important in modern philosophy. It has remained so right up to our own day. Here is the modern epistemological problem expressed three centuries ago! All knowledge comes through the senses, but how can we rely on our own senses? Sometimes, as in dreaming, we seem to be experiencing things very really, yet the reality is only in our heads. We are reminded of the 1966 film by Michelangelo Antonioni called Blow-Up, in which one of the central issues was this same question. A photographer had taken a picture of a murdered man in a park in London and then became uncertain whether this was, in fact, part of reality or an experience of fantasy similar to a drug trip. Within the humanist world-view there is no final way of telling. And Antonioni ends his film by making the point graphically. Tennis players play the game without a ball. The invisible “ball” goes back and forth and the spectators watch its “path” from side to side until finally the “ball” (which does not exist) goes out over the surrounding wire and “falls” at the photographer’s feet. He pauses for a moment, uncertain about what he should do. (Is observation simply a matter of the majority? Does the reality of things come from the general agreement in society and nothing more?) Then the photographer stoops down, picks up the “ball,” and throws it back onto the court. Here, depicted brilliantly, is the problem of any system which builds its epistemology on man alone. This film was a philosophic statement of the period in which we are living. Brief Description: A mod London photographer believes that he has photographed a murder. Julio Cortázar is an argentinian writer, of an incredible style, who made “Las babas del diablo”, from where the story was taken. In 1967 antonioni won the Golden Palm in Cannes for this film, and also the Critic’s Award in 1968 for Best Foreign Film. In this archived episode from the Movie Geeks United podcast, the hosts pay tribute to Ingmar Bergman and Michelangelo Antonioni days after their deaths on July 30, 2007 with guests Peter Burnett and NY Times writer Adam Bernstein. For more information on Movie Geeks United, and to listen to our archive of over 600 filmmaker interviews, visit us at http://www.moviegeeksunited.net. We live in the midst of a world. We can’t deny it. We keep bumping into it. It’s everywhere we look. Try as we might, we can’t see beyond it, nor can we quite manage to see it differently than it is, though we often try. We can’t get its smell out of our nostrils or its feel away from our nerve endings. It’s just there. Unavoidable. Undeniable. Of course, people being what they are, some have tried to deny the existence of the external world. Or at least cast doubt upon its existence. Rene Descartes’ famous dictum “I think therefore I am” was the conclusion of his experiment of systematic doubt. How do I really know anything at all? How do I know I even exist? Could not my senses or some evil spirit be deceiving me about everything I’ve ever known? The only thing that Descartes could not doubt was the fact that he was doubting. Some of the eastern religions teach that this world is nothing more than an illusion. The trick is to call it out and realize that all of the distinctions we make between individual objects (I am not you, you are not a tree, the land is not the sea) are misguided. These distinctions are illusions. So we must let go of the illusion of an external world and mindlessly meld with everything. How do I know I exist? How do I know you’re not a figment of my imagination? We can certainly ask ourselves these questions. But at the end of the day, we’re still living in the real world. Go ahead and believe that this world is an illusion. You still can’t escape it. You still have to follow the dictates of gravity. You still come into contact with real people. You still see things like beauty and understand things like truth. Believe what you want, but we all know—truly and deeply—that the external world is real. Literally every thing points to the reality of the external world. As Christians, the inescapable reality of the external world works in our favor. We can have a discussion with a Buddhist, for example, about the whole world being an illusion. And we can try to convince him intellectually. He will argue against us, but then he must go about his day living as though this world is a real place. In other words, he can say what he wants, but at this point—if he wants to function in the world that exists—he must live inconsistently with regard to his stated beliefs. The beauty of this whole thing is that the God who gave us the gospel is also the God who fashioned the external world. And he knows what he’s talking about. So when we speak to people about the truth of the Christian worldview, we can have full confidence that our worldview matches the world that exists completely. No one else has this advantage. So we have both truth and reality on our side—both working together to point people to the truth and power of the gospel. But even more powerful than the existence of the external world is “the mannishness of man”—a concept that we will explore tomorrow. Mark has worked in youth, college, and worship ministry since 1999, and now serves at Eternity Bible College as the Associate Professor of Interdisciplinary Studies. He is passionate about building up the body of Christ, training future leaders for the Church, and writing. Though he is interested in many areas of theology and philosophy, Mark is most fascinated with practical theology and exploring the many ways in which the Bible can speak to and transform our world. He is the author of “Resonate: Enjoying God’s Gift of Music” and the co-author with Francis Chan of “Multiply: Disciples Making Disciples.” Mark lives in Simi Valley with his wife and two daughters. France. In Bavaria, in the winter of 1619, he took on the mission to re-create the philosophical world by doubting every assumption and building a philosophy based on math. It may seem as though he was a wild-eyed mystic, but he was actually very quiet and careful, keeping many of his books from publication because Roman Catholicism was in the very act of condemning Galileo’s work. But after his works were released, they caused a storm in philosophy and apologetics that still troubles and amazes us. 1. To begin a critique of the four explanations of reality. 2. To discuss the philosophy of Descartes and its impact on apologetics. The scientific way of looking at the world is not wrong any more than the glassmaker’s way of looking at the window. This way of looking at things has its very important uses. I. We start with four possibilities to explain reality. a. Illusion: Reality is not real. b. Self-Created: Reality came into existence through itself. c. Self-Existent: Reality exists by its very nature. 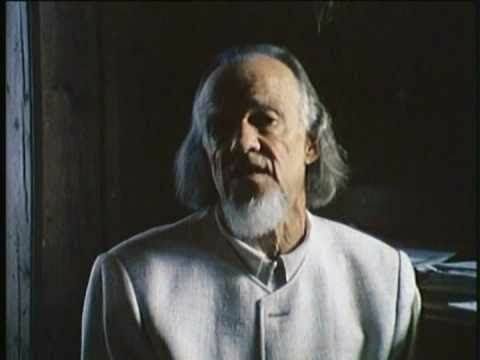 d. Created: Reality is created by a self-existent being. a) Rene’ Descartes (1596-1650), a mathematician, was confronted by a wave of irrationality, an epistemological breakdown. b) The controversies of Copernicus and the Reformation and Galileo created a crisis of authority. c) Descartes attempted to restore certitude. “Clear and distinct ideas” were his goal, ideas that could reconstruct man’s search for knowledge. d) Illustration: What are ten things that I know for sure? e) Descartes doubted everything that he could conceivably doubt, and whatever was left, that is where he would begin. Perhaps everything was just the dream of a demon, he offered. f) He found that the one thing he could not doubt was that he was doubting. There is no way to escape the reality of doubt and the underlying reality that there is a doubter. a) If Descartes is right, then whatever else is in doubt, our existence is not in doubt. b) Going a bit further, if a piece of chalk actually exists, then a self-existent Creator must exist. c) The two major assumptions of Descartes in this formula are the law of non-contradiction and the law of causality. See the following links to purchase a High Quality Version of the presentation. Please support the ministry! The philosopher, mathematician and natural scientist René Descartes, Du Perron (Latin: Cartesius Renatus), was born in La Haye near Tours Touraine in France on March 31, 1596. He stemmed from an old French aristocratic family. His mother died one year after his birth, so René Descartes grew up with a nurse and his grandmother. From the age of eight, René Descartes attended the Jesuit college in La Flèche as a boarder. At 16, René Descartes successfully completed his education. He studied law in Poitiers. In 1616 he graduated with a degree in law. That same year Descartes worked under the famous general Moritz von Nassau in the Dutch town of Breda, where he met the doctor and natural scientist Isaac Beekman. He awakened René Descartes’ interest in physics and was also the person, to whom Descartes dedicated his first work on mathematics and physics “Musicae compendium”, which was published in 1618. Between 1619 and 1620 Descartes entered into the service of Duke Maximilian of Bavaria. He was a soldier in the Thirty Years’ War and participated in the siege of Prague on the side of the emperor and the Catholics. In 1625 Descartes settled in Paris, having received a considerable inheritance. There, he soon came in contact with intellectuals and members of the wealthy society. In 1628 he wrote “Regulae ad directionem ingenii” (“Rules for the Direction of the Mind”), with which he earned significant acclaim and recognition. One year later René Descartes moved to Holland, where he spent the next 18 years of his life. In Holland he worked on a treatise on metaphysics, which he left unfinished, to write another natural scientific piece, namely a work entitled “Traité du Monde”, which he also left incomplete, when he found out about the fate of Galileo Galilei. In 1637 René Descartes published his most important popular scientific work “Discours de la méthode”, he wrote on very intricate subjects but still in a style that “even women” were able to understand. In his works he incorporated epistemology, ethics, metaphysics and the general laws of physics. His “Mediations on First Philosophy”, which provide proof for the existence of God and the eternity of the soul, were first printed in Latin in 1641 and later also in French, his Principles of Philosophy were published in 1844. These works by Descartes lead to such aggressive attacks by Dutch theologists, that in 1645 Descartes considered moving to England. It might have been this experience that inspired Descartes to write a treatise on the “Passions of the Soul” in 1649, a work on human emotions. In 1649 René Descartes followed the invitation of his long-term penpal Queen Christine of Sweden and visited Stockholm. There, he fell ill with pneumonia in early 1650 and died. Some theories, however, say that René Descartes might not have died of natural causes but might have been poisoned with arsenic. Olafur Eliasson (Icelandic: Ólafur Elíasson; born 1967) is a Danish–Icelandic artist known for sculptures and large-scale installation art employing elemental materials such as light, water, and air temperature to enhance the viewer’s experience. 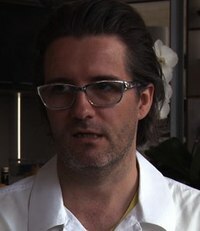 In 1995 he established Studio Olafur Eliasson in Berlin, a laboratory for spatial research. Eliasson represented Denmark at the 50th Venice Biennale in 2003 and later that year installed The Weather Project in the Turbine Hall of Tate Modern, London. Eliasson has engaged in a number of projects in public space, including the intervention Green river, carried out in various cities between 1998 and 2001; the Serpentine Gallery Pavilion 2007, London, a temporary pavilion designed with the Norwegian architect Kjetil Thorsen; and The New York City Waterfalls, commissioned by Public Art Fund in 2008. Olafur Eliasson, born in Copenhagen in 1967 to Icelandic parents, studied at the Royal Danish Academy of Fine Arts between 1989 and 1995. In 2004, Eliasson told Berlin magazine 032c that his father was also an artist; in the same interview he also said that at one time he considered his “break-dancing” during the mid-1980s to be his first artworks. In 1990, when he was awarded a travel budget by the Royal Danish Academy of Arts, Eliasson went to New York where he started working as a studio assistant. He received his degree from the academy in 1995, after having moved in 1993 to Cologne for a year, and then to Berlin, where he has since maintained a studio. First located in a warehouse right next door to the Hamburger Bahnhof, the studio moved to a former brewery in Prenzlauer Berg in 2008. In 1996, Eliasson started working with Einar Thorsteinn, an architect and geometry expert 25 years his senior as well as a former friend of Buckminster Fuller‘s. The first piece they created called 8900054, was a stainless-steel dome 30 feet (9.1 m) wide and 7 feet (2.1 m) high, designed to be seen as if it were growing from the ground. Though the effect is an illusion, the mind has a hard time believing that the structure is not part of a much grander one developing from deep below the surface. Thorsteinn’s knowledge of geometry and space has been integrated into Eliasson’s artistic production, often seen in his geometric lamp works as well as his pavilions, tunnels and camera obscura projects. For many projects, the artist works collaboratively with specialists in various fields, among them the architects Thorsteinn and Sebastian Behmann (both of whom have been frequent collaborators), author Svend Åge Madsen (The Blind Pavilion), landscape architect Gunther Vogt (The Mediated Motion), architecture theorist Cedric Price (Chaque matin je me sens différent, chaque soir je me sens le même), and architect Kjetil Thorsen (Serpentine Gallery Pavilion, 2007). Today, Studio Olafur Eliasson is a laboratory for spatial research that employs a team of c. 30 architects, engineers, craftsmen, and assistants who work together to conceptualize, test, engineer, and construct installations, sculptures, large-scale projects, and commissions. Early works by Eliasson consist of oscillating electric fans hanging from the ceiling. Ventilator (1997) swings back and forth and around, rotating on its axis. Quadrible light ventilator mobile (2002–2007) is a rotating electrically powered mobile comprising a searchlight and four fans blowing air around the exhibition room and scanning it with the light cone. The weather project was installed at the London’s Tate Modern in 2003 as part of the popular Unilever series. The installation filled the open space of the gallery’s Turbine Hall. Eliasson used humidifiers to create a fine mist in the air via a mixture of sugar and water, as well as a semi-circular disc made up of hundreds of monochromatic lamps which radiated yellow light. The ceiling of the hall was covered with a huge mirror, in which visitors could see themselves as tiny black shadows against a mass of orange light. Many visitors responded to this exhibition by lying on their backs and waving their hands and legs. Open for six months, the work reportedly attracted two million visitors, many of whom were repeat visitors. Eliasson has been developing various experiments with atmospheric density in exhibition spaces. In Room For One Colour (1998), a corridor lit by yellow monofrequency tubes, the participants find themselves in a room filled with light that affects the perception of all other colours. Another installation, 360 degrees Room For All Colours (2002), is a round light-sculpture where participants lose their sense of space and perspective, and experience being subsumed by an intense light. Eliasson’s later installation Din blinde passager (Your blind passenger) (2010), commissioned by the Arken Museum of Modern Art, is a 90-metre-long tunnel. Entering the tunnel, the visitor is surrounded by dense fog. With visibility at just 1.5 metres, museumgoers have to use senses other than sight to orient themselves in relation to their surroundings. For Feelings are facts, the first time Eliasson has worked with Chinese architect Yansong Ma as well as his first exhibition in China, Eliasson introduces condensed banks of artificially produced fog into the gallery of Ullens Center for Contemporary Art, Beijing. Hundreds of fluorescent lights are installed in the ceiling as a grid of red, green, and blue zones. Eliasson was commissioned by BMW in 2007 to create the sixteenth art car for the BMW Art Car Project. Based on the BMW H2R concept vehicle, Eliasson and his team removed the automobile’s alloy body and instead replaced it with a new interlocking framework of reflective steel bars and mesh. Layers of ice were created by spraying approximately 530 gallons of water during a period of several days upon the structure. On display, the frozen sculpture is glowing from within. Your mobile expectations: BMW H2R project was on special display in a temperature controlled room at the San Francisco Museum of Modern Art from 2007–08 and at the Pinakothek der Moderne, Munich, in 2008. Eliasson was commissioned by The Public Art Fund to create four man-made waterfalls, called the New York City Waterfalls, ranging in a height from 90–120 ft., in New York Harbor. The installation ran from 26 June through 13 October 2008. At $15.5 million, it was the most expensive public arts project since Christo and Jeanne-Claude‘s installation of The Gates in Central Park. Dedicated on 15 May 2009, this permanent sculpture stands at Bard College, Annandale-on-Hudson, NY. The installation is based on the original Icelandic parliament, Althingi , one of the world’s earliest democratic forums. The artist envisions the project as a place where students and visitors can gather to relax, discuss ideas, or have an argument. The parliament of reality emphasizes that negotiation should be the core of any educational scheme. The man-made island is surrounded by a 30-foot circular lake, 24 trees, and wild grasses. The 100-foot-diameter (30 m) island is composed of a cut-bluestone, compass-like floor pattern (based upon meridian lines and navigational charts), on top of which 30 river-washed boulders create an outdoor seating area for students and the public to gather. The island is reached by a 20-foot-long stainless steel lattice-canopied bridge, creating the effect that visitors are entering a stage or outdoor forum. Frogs gather in this wiry mesh at night, creating an enjoyable symphony. Eliasson designed the facade of Harpa, Reykjavík‘s new concert hall and conference centre which was completed in 2011. In close collaboration with his studio team and Henning Larsen Architects, the designers of the building, Eliasson has designed a unique facade consisting of large quasi bricks, a stackable twelve sided module in steel and glass. The facade will reflect the city life and the different light composed by the movements of the sun and varying weather. During the night the glass bricks are lit up by different colored LED lights. The building was opened on 13 May 2011. In 2007, Eliasson’s idea to an art work which could complete ARoS Aarhus Kunstmuseum in Aarhus got chosen among five other proposals in a bidding process by a panel of judges. Eliasson’s artwork called “Your rainbow panorama” consists of circular, 150 feet long and ten feet wide circular corridor made of glass in every color of the rainbow. The work has a diameter of 52 meters and is mounted on slender pillars 3.5 meters above the museum’s roof. The artwork is at night lit up from the inside by spotlights in the floor. The project cost 60 million Danish kroner; construction began in May 2009 and was completed in May 2011. Commissioned by Louis Vuitton in 2006, lamps titled Eye See You were installed in the Christmas windows of Louis Vuitton stores; a lamp titled ‘You See Me’ went on permanent display at Louis Vuitton Fifth Avenue, New York. All fees from the project were donated to 121Ethiopia.org, a charitable foundation established by Eliasson and his wife. In 2007, Eliasson developed the stage design for Phaedra, an opera production at the Berlin State Opera. Along with James Corner‘s landscape architecture firm Field Operations and architecture firm Diller Scofidio + Renfro, Eliasson was part of the design team for New York’s High Line park. Eliasson was originally supposed to create an outdoor-based artwork for the 2012 Summer Olympics; however, his proposed £1m project Take A Deep Breath was rejected due to funding problems. Eliasson had his first solo show with Nicolaus Schafhausen in Cologne in 1993, before moving to Berlin in 1994. In 1996, Eliasson had his first show in the United States at Tanya Bonakdar Gallery. The San Francisco Museum of Modern Art (SFMOMA) organized Eliasson’s first major survey in the United States Take Your Time: Olafur Eliasson, on view from 10 September 2007 to 24 February 2008. Curated by the director of the Museum of Contemporary Art, Chicago, Madeleine Grynsztejn (then Elise S. Haas Senior Curator of Painting and Sculpture at SFMOMA), in close collaboration with the artist, the major survey spanned the artist’s career from 1993 and 2007. The exhibit included site-specific installations, large-scale immersive environments, freestanding sculpture, photography, and special commissions seen through a succession of interconnected rooms and corridors. The museum’s skylight bridge was turned into an installation titled One-way colour tunnel. Following its San Francisco debut, the exhibit embarked on an international tour to the Museum of Modern Art, and P.S.1. Contemporary Art Center, New York, 2008; the Dallas Museum of Art, Dallas, Texas, 2008–09; the Museum of Contemporary Art, Chicago, 2009; and the Museum of Contemporary Art, Sydney 2009–2010. He has also had major solo exhibitions at, among others, Kunsthaus Bregenz, Musée d’Art Moderne, Paris, and ZKM (Center for Art and Media), Karlsruhe (2001); Schirn Kunsthalle, Frankfurt (2004); Hara Museum of Contemporary Art, Tokyo (2006); the Museum of Contemporary Art, Kanazawa, Ishikawa (2009); and Martin-Gropius-Bau, Berlin (2010). Eliasson has also appeared in numerous group exhibitions, including the São Paulo Biennial and the Istanbul Biennial (1997), Venice Biennale (1999, 2001 and 2005), and the Carnegie International (1999). The artist is represented by Tanya Bonakdar Gallery in New York, Gallery Koyanagi in Tokyo, PKM Gallery in Seoul/Beijing, and Neugerriemschneider in Berlin. The Spiral Pavilion, conceived in 1999 for the Venice Biennial and today on display at Kunsthalle Bielefeld, brought Olafur Eliasson the Benesse Prize by the Benesse Corporation. In 2004, Eliasson won the Nykredit Architecture Prize. In 2007, Eliasson won the first Joan Miró Prize by the Joan Miró Foundation. In October 2013 Eliasson will be awarded the Goslarer Kaiserring. Jump up ^ Joachim Bessing, “Experiencing Space,” 032c issue 8 (Winter 2004/05). Jump up ^ Peter Schjeldahl (28 April 2008), Uncluttered. An Olafur Eliasson retrospective. The New Yorker. Jump up ^ Michael Kimmelmann (21 March 2004), The Sun Sets at the Tate Modern New York Times. Jump up ^ Olafur Eliasson: The New York City Waterfalls, Public Art Fund, New York. Jump up ^ Lauren Weinberg (11 May 2009), Olafur Eliasson Time Out Chicago. Jump up ^ Olafur Eliasson: Quadrible light ventilator mobile (2002–07) Arken Museum of Modern Art. ^ Jump up to: a b Cynthia Zarin (13 November 2006), Seeing Things. The art of Olafur Eliasson New Yorker. Jump up ^ Ólafur Eliasson: Colour memory and other informal shadows, January 24 – May 2, 2004 Astrup Fearnley Museum of Modern Art. Jump up ^ Olafur Eliasson – Din blinde passager at ARKEN Arken Museum of Modern Art. Jump up ^ Olafur Eliasson: Your Tempo, September 8, 2007 – January 13, 2008 San Francisco Museum of Modern Art. Jump up ^ Dobnik, Verena (22 June 2008). 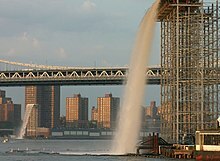 “NYC getting ‘Waterfalls’ off shore of Manhattan”. Associated Press. Retrieved 25 June 2008. Jump up ^ Design Team High Line. Jump up ^ Olafur Eliasson art project rejected by Olympics bosses BBC, 11 April 2012. Jump up ^ Olafur Eliasson: Spiral Pavilion Kunsthalle Bielefeld. Jump up ^ “Nykredit Architecture Prize”. Nykredit website (in Danish). Copenhagen, Denmark: Nykredit Holding A/S. 2013. Retrieved 30 November 2013. Jump up ^ Olafur Eliasson: The nature of things, June 20 – September 28, 2008 Joan Miró Foundation, Barcelona, and Centre Cultural Caixa Girona-Fontana d’Or, Girona. « The Atheist can only come to the conclusion of despair according to Ecclesiastes,but humans always try to go to the area of non-reason for meaning in their lives instead of turning to God!